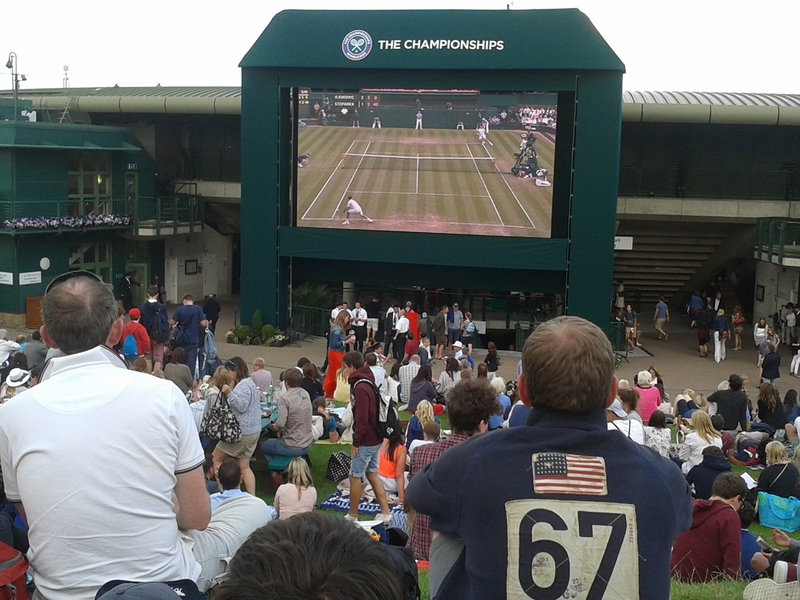 I went to Wimbledon for the first time last week and for just £14, I got to see some of the tennis greats chase that yellow ball and got exposure to a quintessentially British experience- queuing in an orderly fashion. It was money very well spent! Lots of people set up camp the night before going to Wimbledon so that they are first in the queue. Personally, I’m hoping that uncomfortable nights spent with stones digging into my back and mornings without showers are behind me. With this in mind, I opted to try my luck after work on Wednesday. I joined the queue at 5.15pm and was handed queue number 12,914 and a manual on how to queue. This did not fill me with hope. We were told it would be a minimum of 2 hours before we got in and we joined the back of a very long queue in a field. I couldn’t hear any crowds cheering which concerned me- how far away were we from the courts? Was this going to be like the horror show that is queuing in Disneyland where you think you’re almost at the top of the queue only to be ushered into another room with an even longer queue? 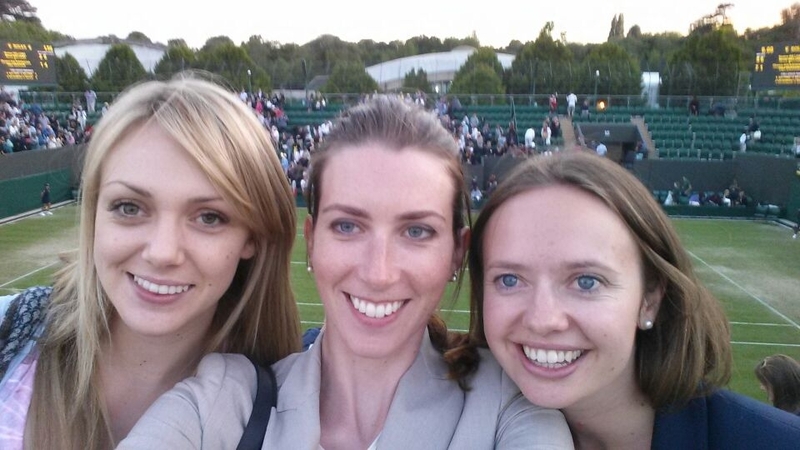 As I was with Wimbledon second-timers, we came prepared with supplies- picnic blankets, wine, plastic cups (genius! ), strawberries, bread, cheese and meats. We nestled into our spot and cracked open the wine. We chatted amicably to our fellow queuers which served as a refreshing break from the regular London decorum of avoiding eye contact with everyone at all times. After about 15 minutes, the queue started moving very quickly- almost too quickly as we were enjoying our picnic and in less than an hour we were almost in! As we approached the main entrance, there were cardboard silhouettes of players saying ‘Nadal welcomes you’, ‘Sharapova welcomes you’ etc. Suddenly we got excited and jovial staff were there to assure us that it wouldn’t take much longer. It was the most ordered queue I’d ever been in and as ticket numbers were assigned, there was no fear that anyone was skipping at any point. We went through security which was a process so stringent that it made Gatwick airport seem lax. We then finally stepped foot into Wimbledon (or the All England Lawn Tennis and Croquet Club as it’s officially called) and there was a great energy. It felt like the volume button of a TV was constantly being turned up and down as crowds roared and clapped and then immediately fell silent again as play started on matches throughout the grounds. We bought a ground admission ticket which costs £14 after 5pm (or £20 if you arrive before 5pm). This type of ticket allows you to access the unreserved seating and standing areas for court 3-19 which is perfect in week one of the tournament as it means you will still see get to see the big names. 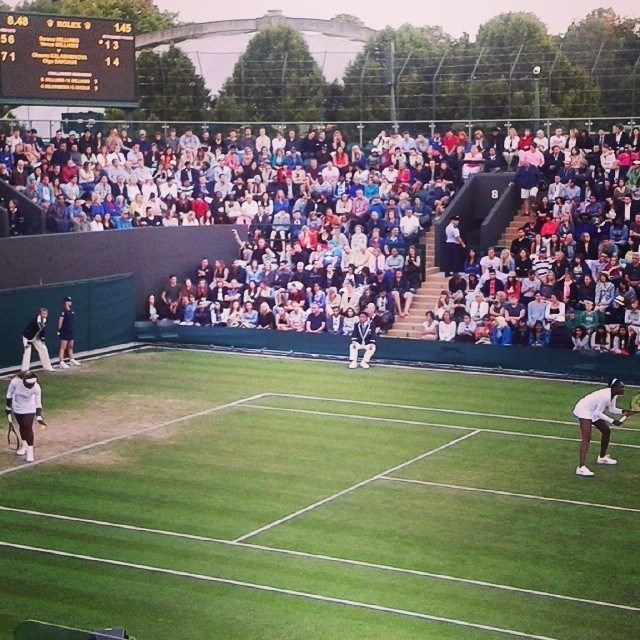 Once you’re in, you can buy tickets for a centre court or court 1 match. We were lucky enough also to get seats at the end of William v Kalashnikova/Savchuk match which they won in three sets 5-7, 6-1, 6-4. It was an exciting last set and moved at a huge pace. 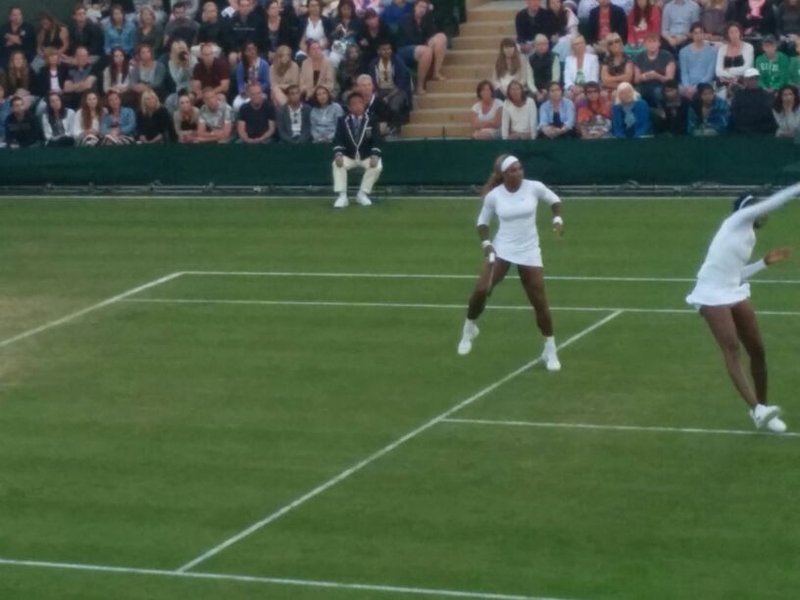 Super excited to be at Wimbledon! bring food supplies – it can be a long wait before you are through the entrance and queuing for anything hungry will probably make you unbearable company! Carefully dropped into conversation, these will make you sound hugely knowledgeable of all things Wimbledon*. *People were not as wowed by these facts as I thought they would be- tough crowd!